Room 13 Silwane was officially opened on 12 May 2008 in Ekukhanyeni Mission in Inanda township, Kwa Zulu Natal. Silwane was the first school in the province to introduce Room 13, as part of an initiative by TBWA\ South Africa to establish studios in every province. 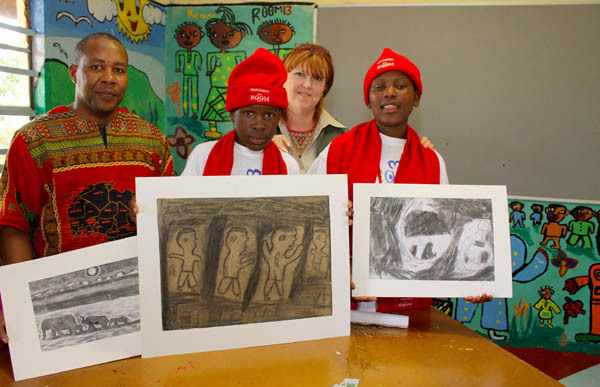 Room 13 Silwane combines a focus on learners’ artistic and personal development with a strong business ethic. The learners are taught skills in various visual art techniques as well as creative writing. The art disciplines that are taught include: drawing, painting, photography, mural painting, printmaking, silk screen printing and fabric painting. Products that are produced include: drawings, paintings, lino prints, cards, t-shirts and matchstick table mats.